I feel for Meg Whitman. The former candidate for Governor of California spent 141 million dollars of her own money and lost. A loss made even more bitter by how she lost. Old Moonbeam barely announced his candidacy, waiting till what seemed like the last possible moment. Then refusing to raise money or run TV ads until late in the game, even waiting till a month before the election for TV ads. Finally, Moonbeam just grumbled his way to the Governor’s mansion, proudly proclaiming his political-ness, grouchiness, and cheapness. Which I think is awesome! It’s so California. Just when you think it’s going one way the state diverts and heads down a completely new path. It does fit the name, The Tao of Moonbeam, as written by Timothy Egan in the New York Times. Which is a great opinion piece well worth reading. I guess at this point you may be asking, who the hell is Moonbeam? 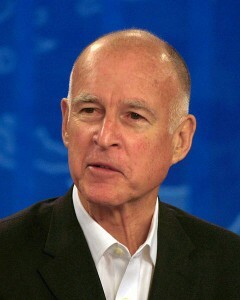 It’s Jerry Brown and the name comes from Linda Ronstadt when they were lovers. Apparently the name leaked to the press in 1976 and it has stuck ever since. Back then Jerry Brown was an Obama-like superstar. The young politician was good looking, twice the Governor of California, and often a president candidate. The popular definition of the name was “young, idealistic, and non-traditional”. A reference that some thought would hurt ‘Governor Moonbeam’, and it probably did hurt his presidential ambitions, but in California it became a point of pride. Especially as the state rose to dominate the country with its economy and culture. The story gets better though as the feud between Jerry, Ronstadt, and the press heats up…for more on this check out, How Jerry Became ‘Governor Moonbeam’, by Jesse McKinley in the New York Times.